1) So the unit is sealed. 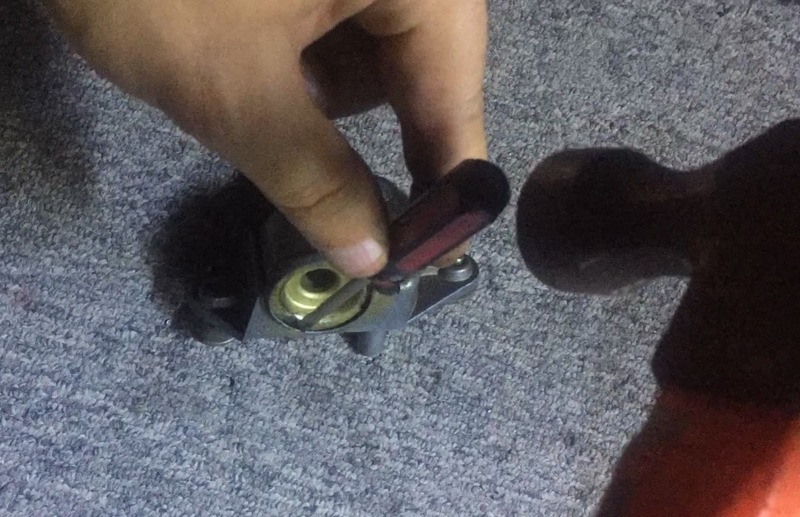 The main housing is made of aluminum so you cant just pry it trying to remove the sealed cap, it will brake the housing (trust me, I wasted 2 units already!). Grab a small flat head screwdriver and a small hammer. Gently tap the aluminum edge around the sealed cap to widen the edge. Be gentle or it will crack. 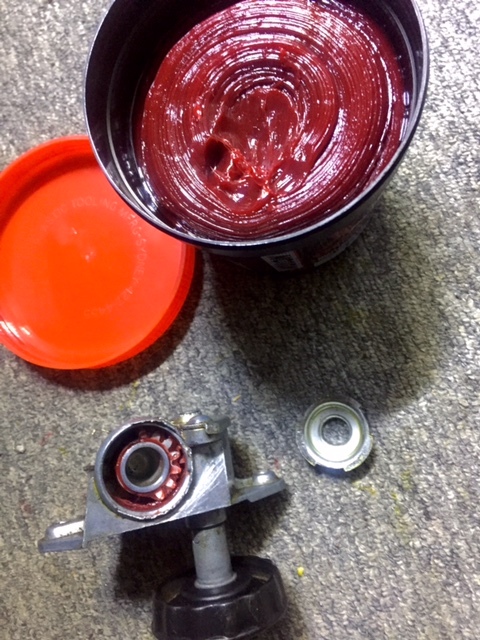 3) Once the cap is off, use a small screwdriver or a nail and patiently pick all dried out grease. I used a brake cleaner (spray can) to get rid of old stubborn grease. It wont leave any residue since it will all evaporate almost immediately. You don't have to do this. You could just clean by picking what you see. 4) I used a heavy duty, water resistant, long lasting general purpose grease with extreme temperature rating (non petroleum). 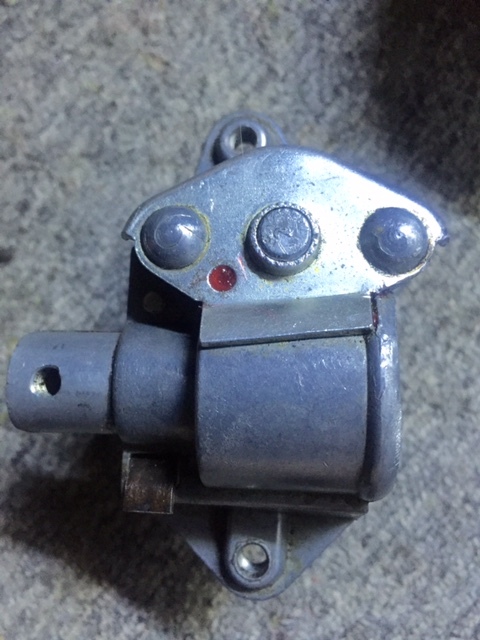 The vent mechanism is very similar to steering box mechanism. 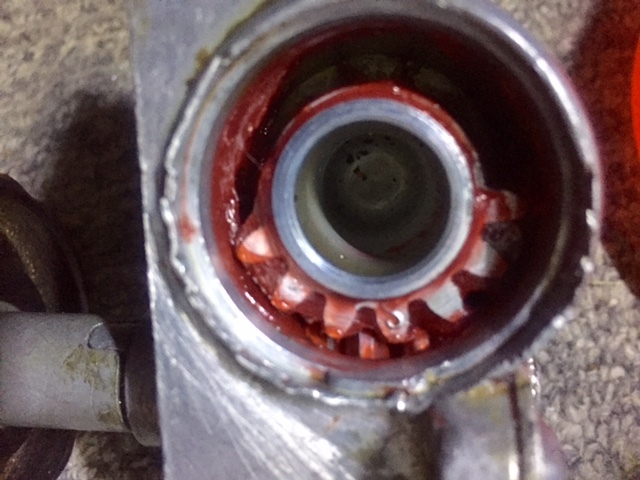 Apply moderate amount of grease and push it in between the gears then move gears back and forth using the knob. 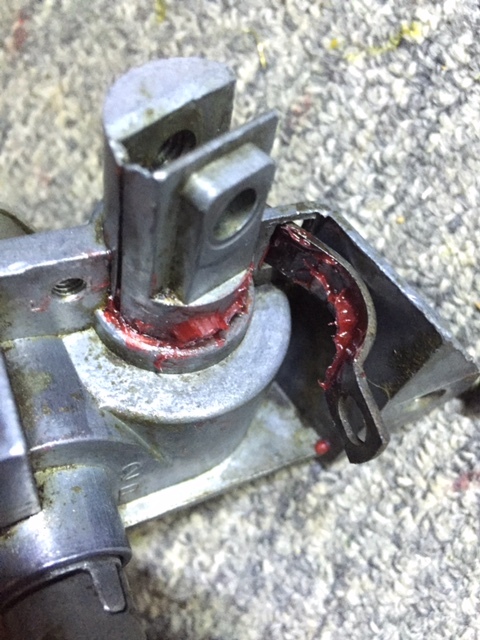 5) There is a small grease pan under the horizontal gear shaft. Repeat step 4 until you see grease coming out of the top of horizontal gear shaft. This means the bottom grease pan is full. (Try not to over fill). The vertical gear shaft has a small play (moves up and down by 1mm). 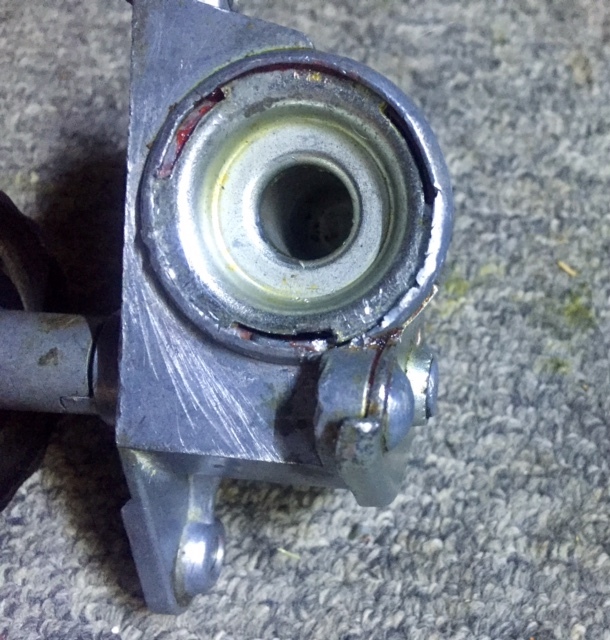 Using your small flat head screwdriver, try getting some grease under the vertical gear shaft by pushing the other end of the shaft from outside of the housing. This will help smoothing the movement. 6) The vertical gear shaft is supported by a small tension bar from outside where the vent window frame is inserted. 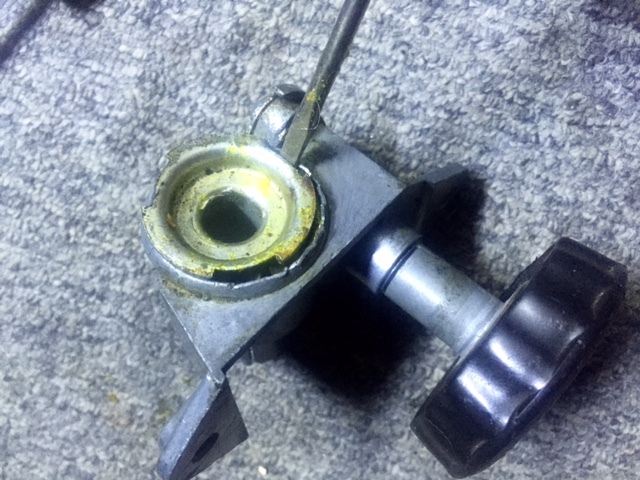 Remove the holding screw and tension bar, use small amount of grease on the inside of the tension bar and reinstall (do not over tighten the screw). 7) Now put the cap back on and gently tap the edges inward with a hammer. You're Done! Now, when I finished doing this, I noticed a small amount of grease under the vent mechanism housing where the horizontal shaft is. Looked closely and noticed there is a small hole possibly made for inserting grease occasionally or in major service intervals. But you need to clean out the dead grease before using this grease hole. 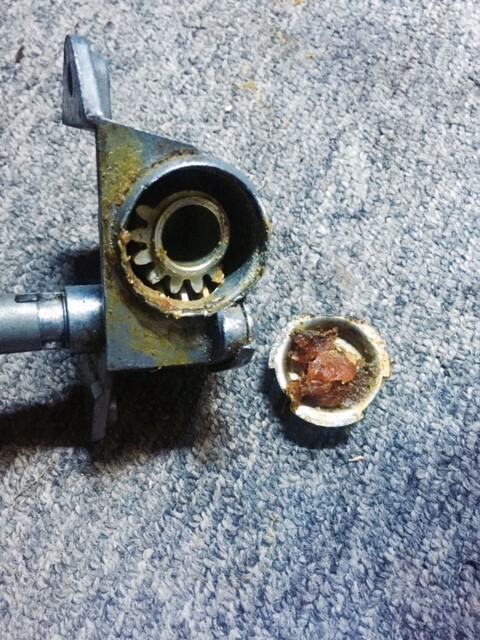 Most currently available used vent mechanisms have dried out grease and in need of complete clean out anyway and you wont need another overhaul anytime soon! It looks like it had earwax in there before. I'll bet it's way smoother now.